The GTA has decided to form development boards for 19 communities in the hills and allotted Rs 5 crore for each of them in an apparent move to neutralise Mamata Banerjee who set up similar bodies to the chagrin of the Gorkha Janmukti Morcha. The Morcha has been alleging that Mamata has adopted "divide and rule" policy in the hills by forming development boards for different communities. Till date, the state government has created development boards for the Lepcha, Tamang, Sherpa, Bhutia and Mangar communities and also promised to look into the demands from the Rais and Limbus. The Morcha-controlled GTA Sabha, however, passed a resolution on February 12 to form development boards for 19 communities which have significant population in the hills with an initial grant of Rs 5 crore for each of them. The 19 communities are Gurung, Bhujel, Newar, Rai, Sunuwar, Thami, Yakkha (Dewan), Khas, Mangar, Jogi, Limbu, Tamang, Dukpa, Lepcha, Sherpa, Bhutia, Yolmo, Scheduled Caste and Adivasis. "While the government formed boards selectively to divide hill communities and weaken our Gorkhaland demand, we have created development boards for all hill communities to strengthen our unity and the Gorkhaland demand," said Bimal Gurung, the chief executive of the GTA. Observers believe Trinamul has been able get a toehold in the hills largely because of its decision to form development boards. "The Morcha definitely feels Mamata's development board politics needs to be countered and that is why the GTA launched similar bodies for all communities," said an observer. The state government has so far sanctioned Rs 131 crore for the development boards. The Lepcha board alone has been given about Rs 86 crore. The GTA receives funds from the central and state governments, but the actual amounts are not known. There was an agreement that the GTA would be given a special annual grant of Rs 200 crore for three years once the hill body was formed. 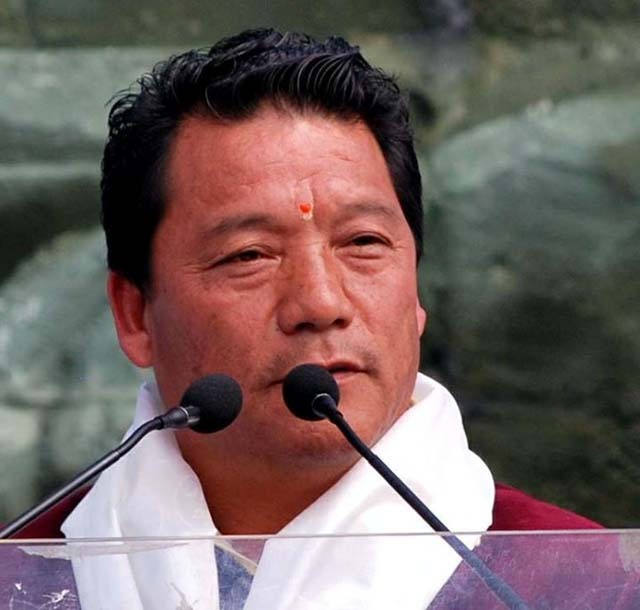 Asked about the activities to be taken up by the GTA's development boards, Gurung said: "We will have to first chart out the composition of the boards and their tasks. The boards will then decide what is best suited for every community."